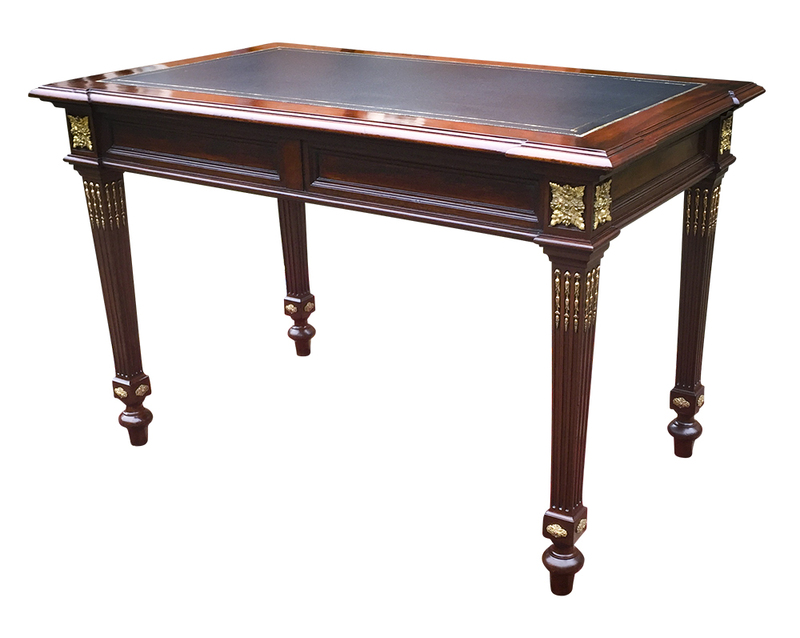 This high quality writing table or bureau plat is made from well figured mahogany. 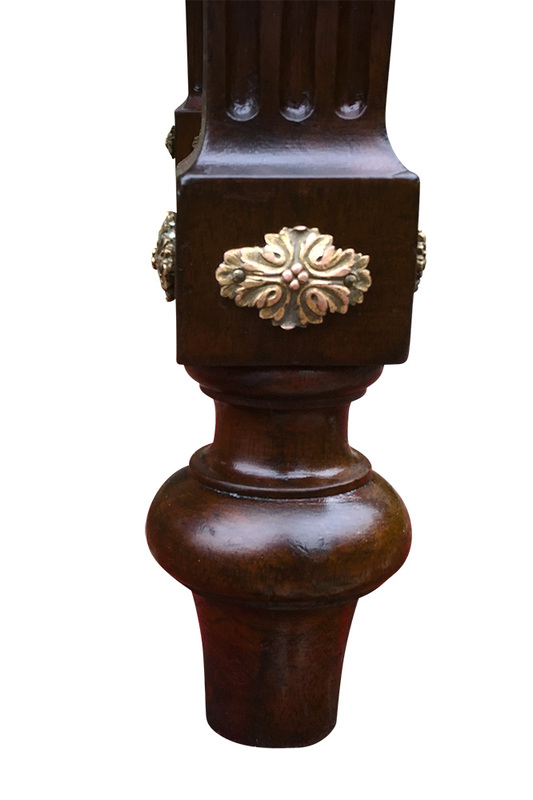 It has a beautiful ‘breakfront’ outline all around with panelling and superb ormolu mounts. 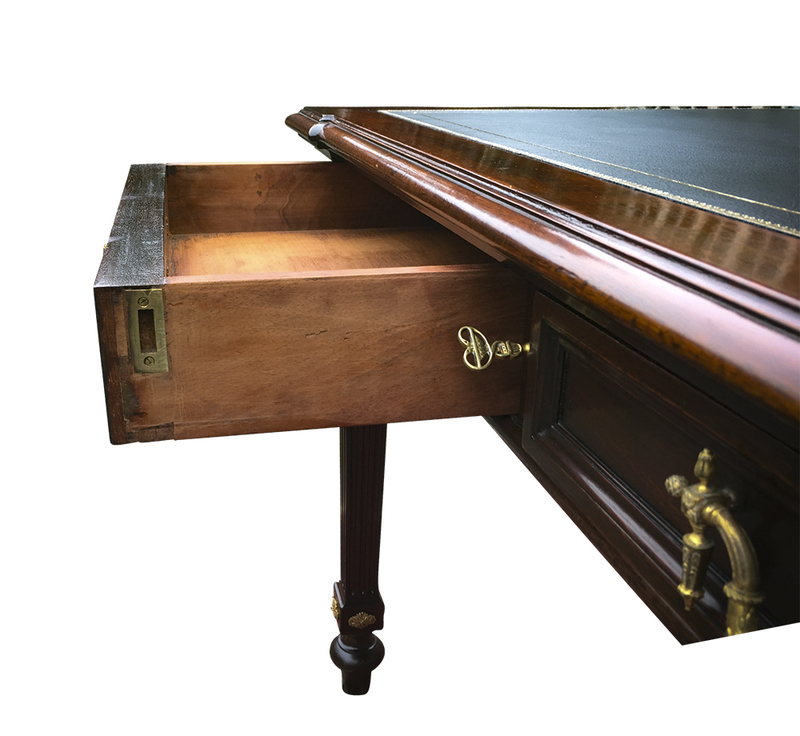 The writing desk is fitted with two mahogany lined drawers each with with top quality cast ormolu handles. 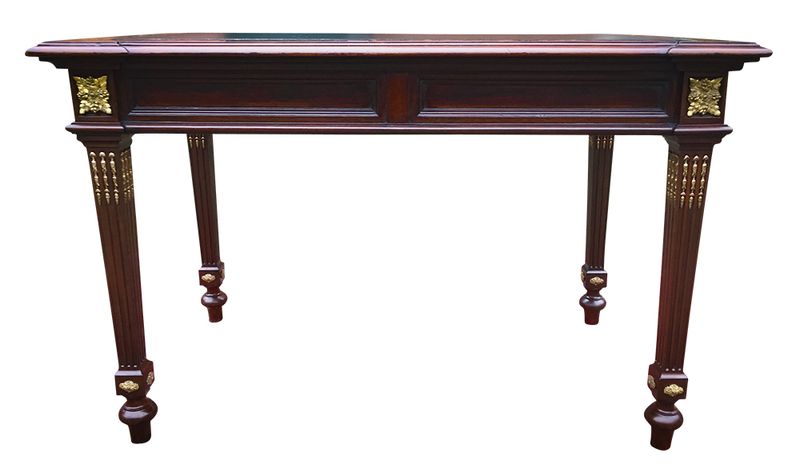 The drawers both lock simultaneously when the key is turned. 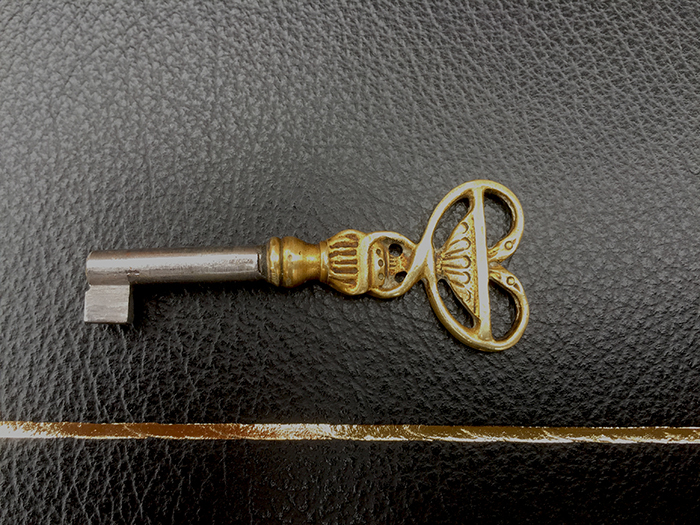 The brass handle of the old key is of a “snake” design. 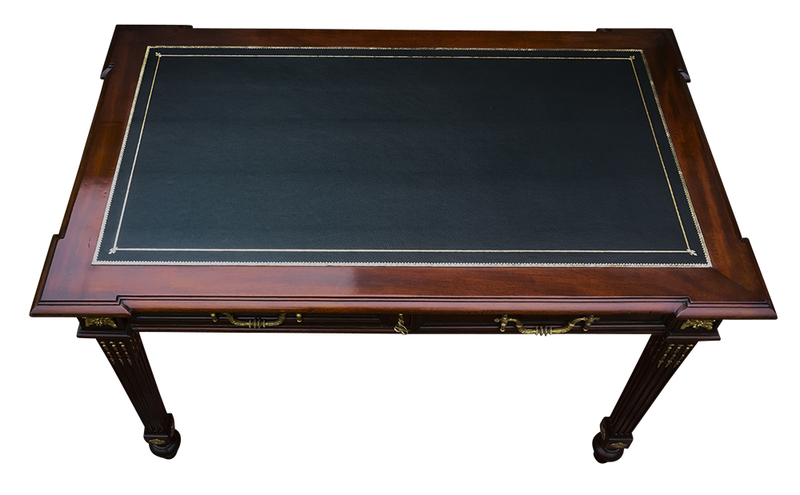 If you are interested in this Antique French Mahogany Writing Table please contact us quoting reference: SN770. 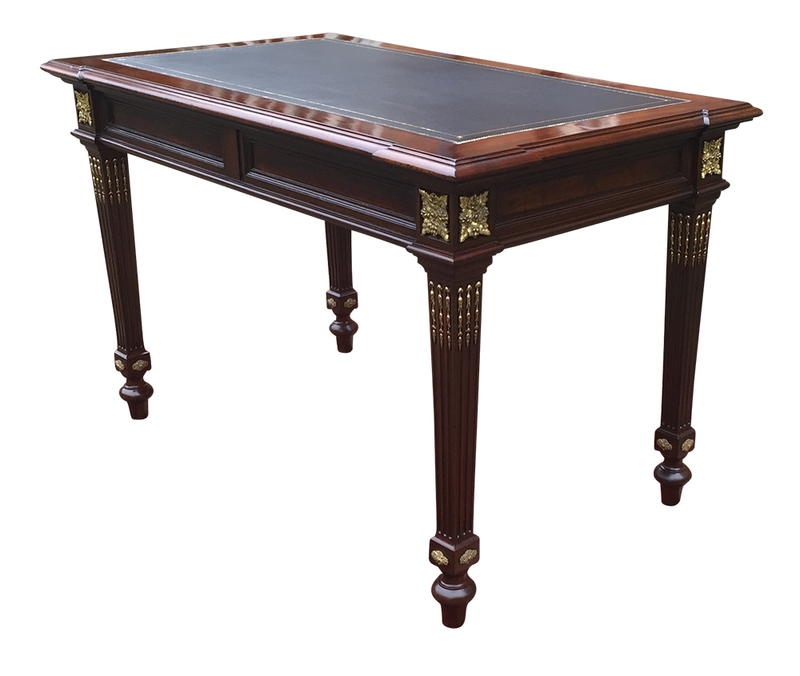 This high quality writing table or bureau plat is made from well figured mahogany. 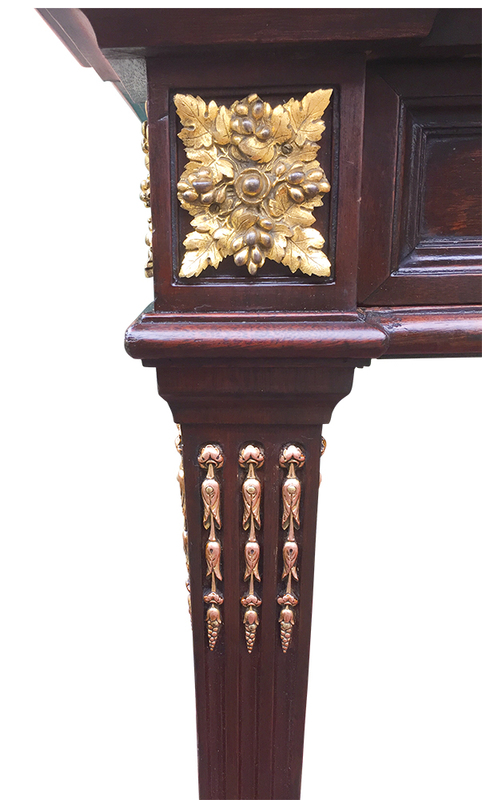 It has a beautiful ‘breakfront’ outline all around with panelling and superb ormolu mounts. 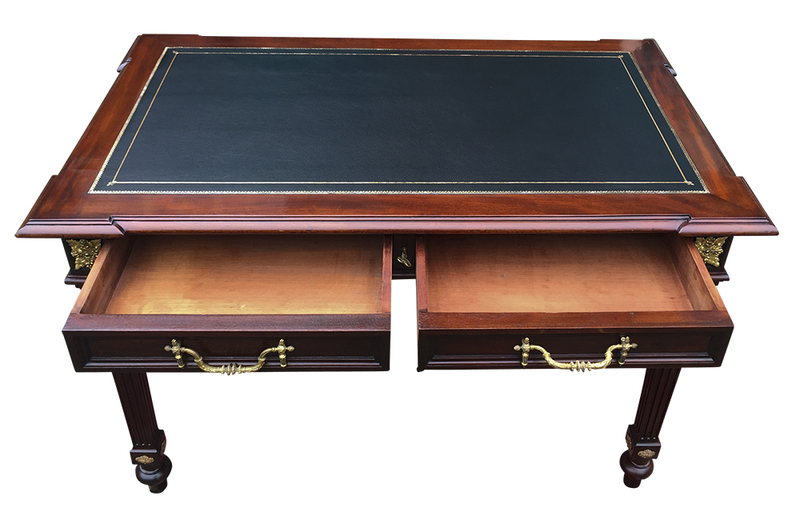 The writing desk is fitted with two mahogany lined drawers each with top quality cast ormolu handles. 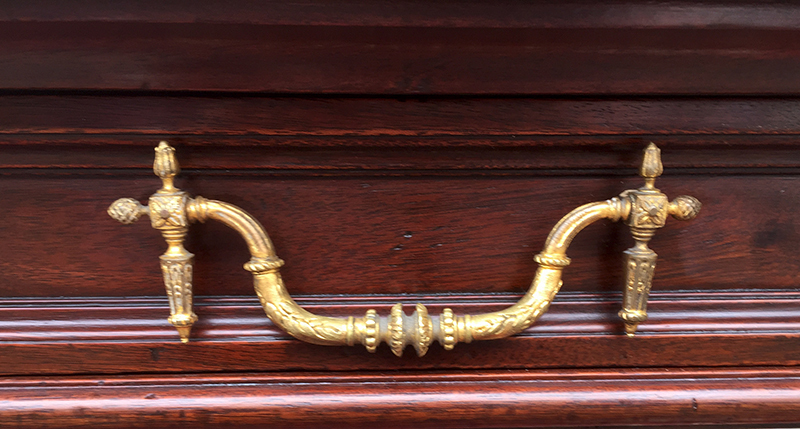 The drawers both lock simultaneously when the key is turned. 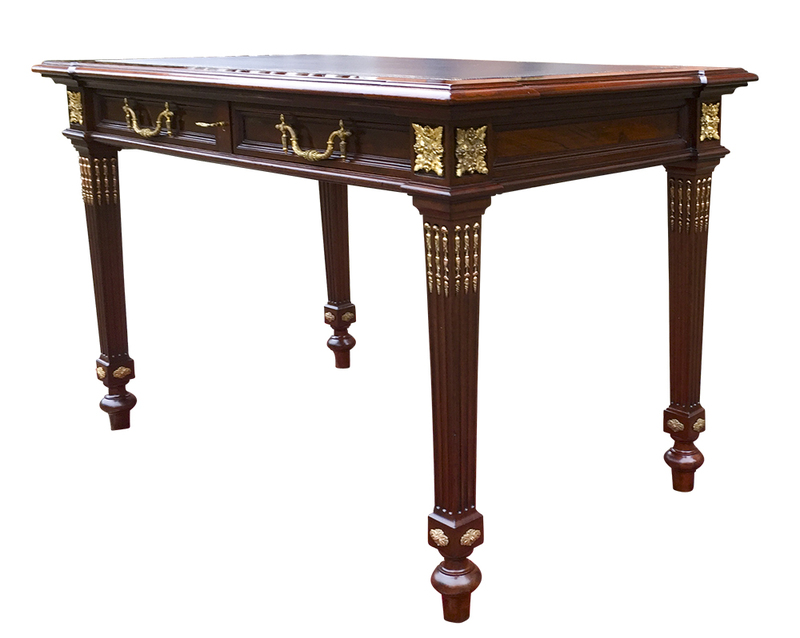 The desk stands on four tapering, square section legs terminating in turned feet. 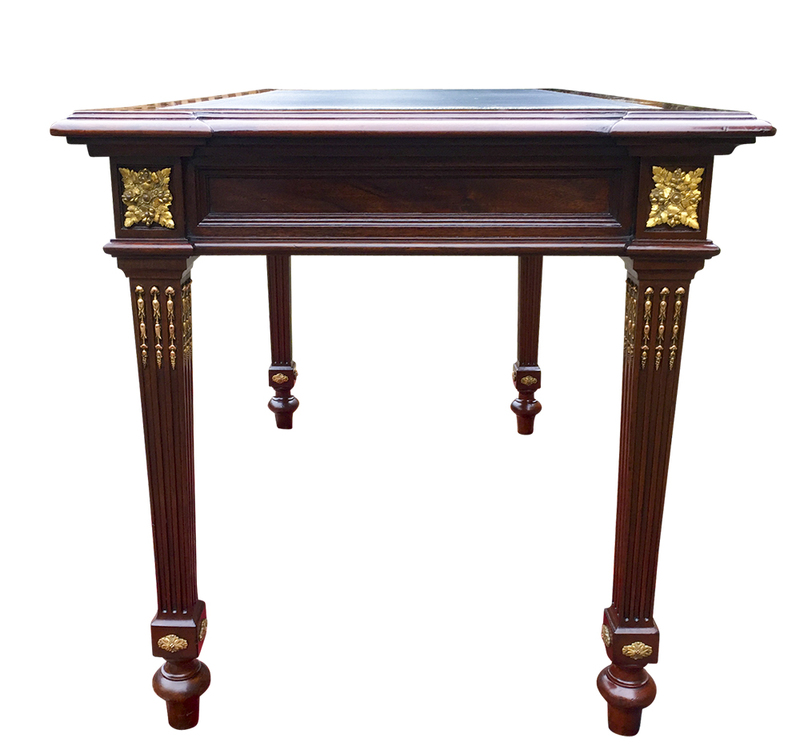 The desk has recently benefited from traditional restoration including french and wax polishing and cleaning the ormolu. 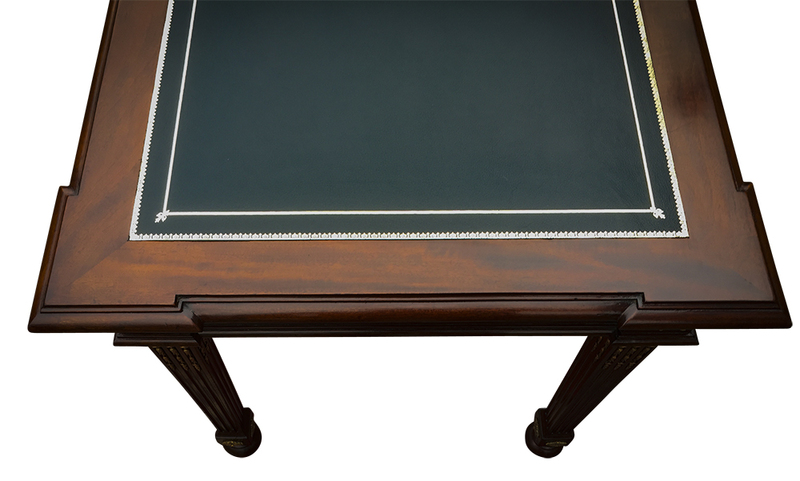 It has been fitted a new black hide writing surface with gilt tooling. 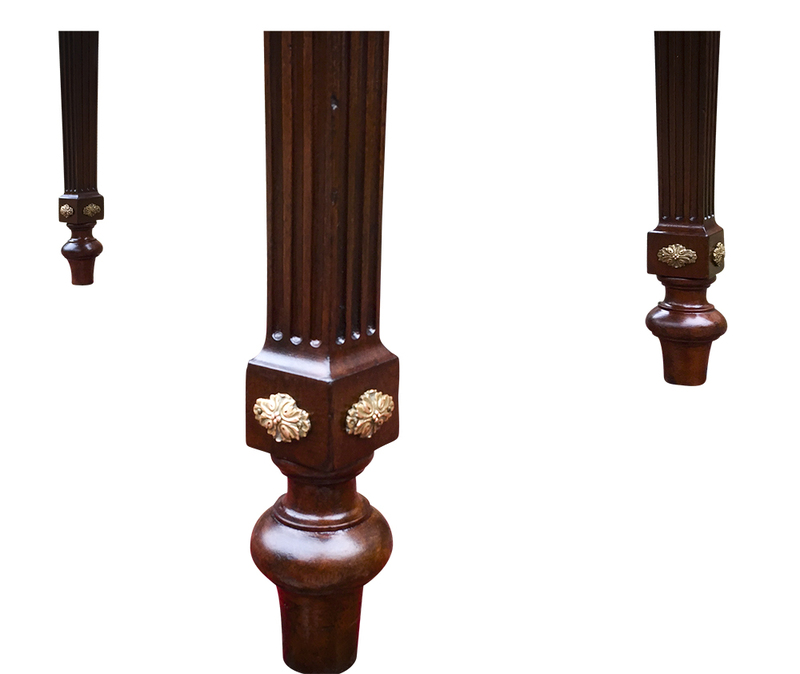 This is surrounded by a band of mahogany with a breakfront and moulded edge. 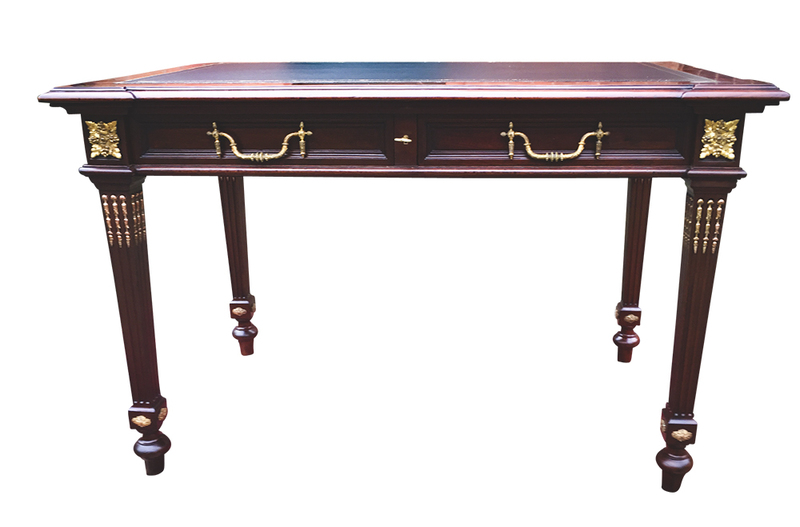 This is a beautiful quality antique writing desk / table in excellent antique condition and can be used as a free standing piece in a room.